As a leading boat manufacturer, Jeanneau made waves with it’s introduction of the Sun Odyssey 54 DS. 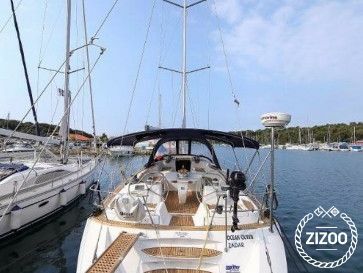 This 2007 model is an ideal yacht for larger groups looking to discover the some of Croatia’s best beaches, popular party islands and impressive national parks. Stretching almost 17 meters, the Sun Odyssey 54 DS provides plenty of space to lounge in the sun on deck and an impressive interior with a well-equipped galley and spacious salon. Discover the region of Istria with the help of guide to charter holidays in Pula. Requested 56 times this week!